The East Haddam gem will welcome Connecticut's oldest and most prestigious amateur championship for the first time in 2019. Par & Yardage: Fox Hopyard GC will be set up to play at a total of 6,912 yards and a par of 71. Fox Hopyard was designed by Roger Rulewich after its sister course, Crumpin-Fox Golf Course, in Bernardston, Mass. Rulewich said wanted to construct a course that gave golfers the feel of playing through “the mountains of Vermont, and the lowlands of Kiawah,” all in one round. The semi-private course, that also hosted the 2003 Connecticut Women's Open, perennially makes lists of top New England courses open to the public. Entries Close: Wednesday, April 24 at 11:59 p.m.
About the Tournament: The Connecticut Amateur Championship is the oldest event conducted by the CSGA and is one of the nation's oldest state amateur golf championships. The challenging format tests the state's best amateur golfers over two rounds of stroke play to determine the low thirty-two match play qualifiers. 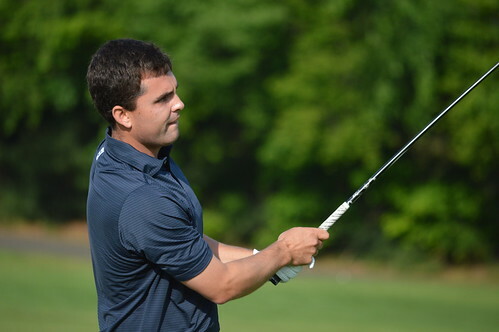 Two rounds of match play each day culminate in a thirty-six hole final to crown the top amateur player in Connecticut.